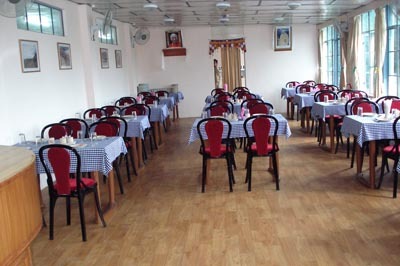 Hotel Tibet has been one of the leading Hotels in Mcleod Ganj, Dharamshala for many decades. It is a unit of the Federation of Tibetan Co-operatives in India. The Hotel caters to the needs of all types of travellers. 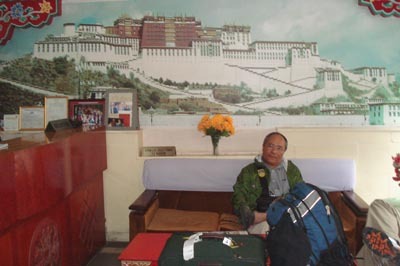 To give business to this Hotel is to support the Tibetan co-operatives. 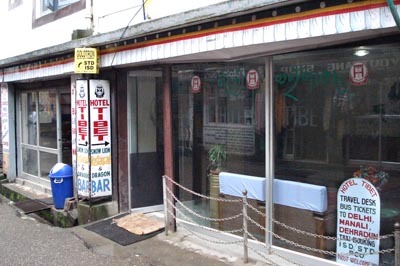 On the way to Bhagsunath, Hotel Tibet is located in the heart of Mcleod Ganj. All the important places are within walking distance, including His Holiness the Dalai Lama’s Palace, Tibetan Medical and Astro. Institute, Bus, Taxi stand, Banks, Post and Telegraph Office and Travel agencies. It offers 20 well-furnished rooms, all having attached bathrooms with running hot and cold water, wall-to-wall carpeting, colour TV with cable network and BBC News, and personalised services round the clock. A restaurant having a sitting capacity of 80 people serves a wide range of authentic Tibetan cuisines, Japanese and other oriental dishes. The Hotel has a bar which recaptures the spirit of these heady times. The decor is muted with comfortable seats. It serves a variety of India-made liquors and beers. Exclusively decorated, the banquet hall can comfortably accommodate 20 to 25 guests. We also cater to outdoor parties. Reservations should be made individually or through correspondence. We do not entertain reservation by phone. Reservations should be made one month in advance, with an advance remittance of 50% for the duration of stay. 25% of the advance is refundable if the booking is cancelled 15 days before the scheduled check-in time. The advance is non-refundable if the booking is cancelled after 15 days from the date of booking. There is no charge for children below 6 years of age. One night’s tariff will be applied, if the client does not check in on the booking date. We provide 20% commission to the travel agents on the room tariff. We do not accept credit exchange vouchers. Full payment must be made at checkout time by the client or the agent. All Government taxes are applicable. We provide 30% discount for single occupancy. A group occupying more than four rooms will also be provided 20% off from the approved rates. Guests staying more than two weeks are also eligible for 20% off from the approved rates. All the above rates are approved by the Department of Tourism, Government of Himachal Pradesh. 8% Sales Tax is applicable on food. 10% luxury tax is applicable on room tariffs.